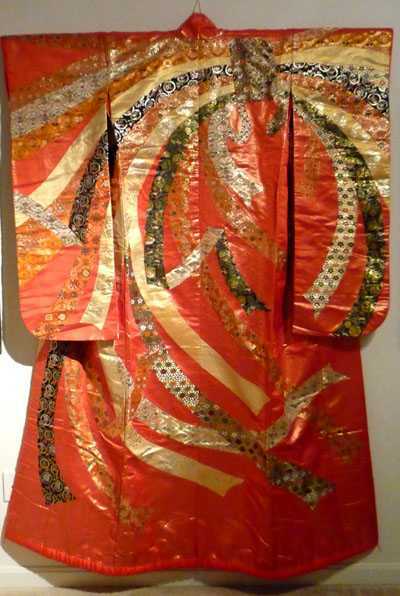 Contemporary Wedding Kimono with Noshi Bundle- Auspicious Symbol for Wedding. Gorgeous Detailing of Brocade Metallic woven design. Amazing Display. 49 inches wide by 72 inches long. Outstanding Condition.